Alex Smith explores five tempting estuary runabouts for the family in love with exploring tidal waters. While coastal and offshore navigation is great, there’s nothing like a long, meandering British tidal estuary ( see 8 of the best UK estuaries for cruising) to ramp up the entertainment. With up to 20 feet of water sucking its way in and out a couple of times of day, the landscape alters entirely, bringing with it fresh views, tempting offshoots and new landing spots. Along the western coasts of Britain in particular, you witness towns, villages, pubs, vineyards, castles, houses and beaches in a way that the vast, impersonal spaces of the open sea will never be able to match. A catamaran makes great sense for estuary fun. It leaves very little wake, it’s extremely stable at low speeds, it runs efficiently on very little power, it’s simple to manoeuvre in tight situations and when you head up a beach, it simply slides into position without any list (see Twin-hulled powerboats: the advantages of power catamarans). 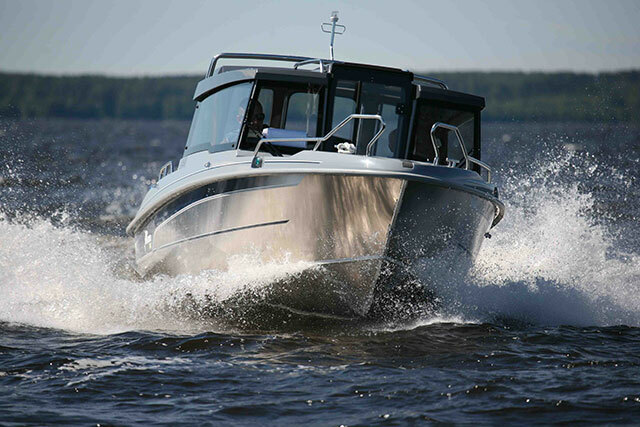 Powercat 525: Twin hulls are a great asset for an estuary platform. It also has much more inboard space than most monohulls of a similar length and while it costs more to buy, it also enjoys greater security courtesy of two independently operable engine systems. 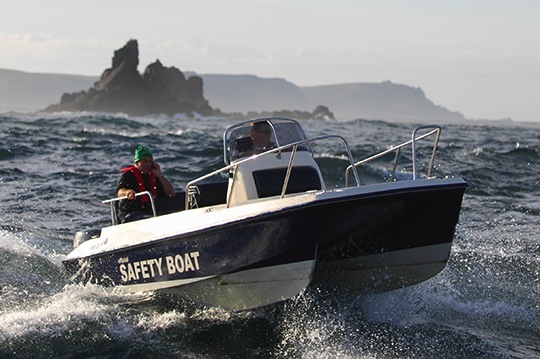 I’ve spent a week in and around the glorious Fal estuary on one of Powercat’s entry-level 525s and it was a perfect boat for the job. The one I used was a simple open platform, but if you want a cabin and all-weather shelter, it also comes with the option of a forward cuddy and walk-around side decks; and if you want to spend a lot of time at sea, you can spec it with higher freeboards for added protection. 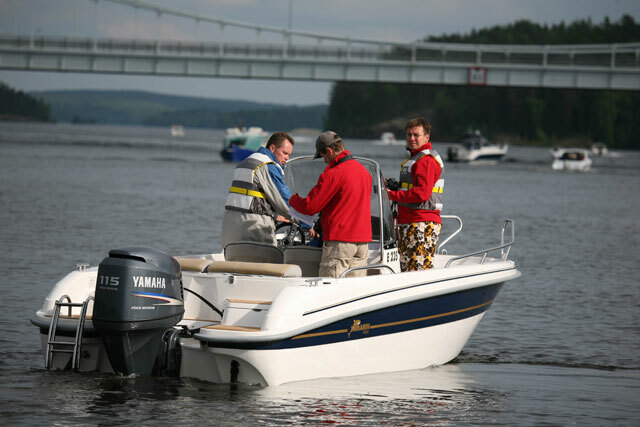 With a pair of 40hp outboards, you can expect 26-knot performance and a combined fuel flow of less than a litre-per-mile. 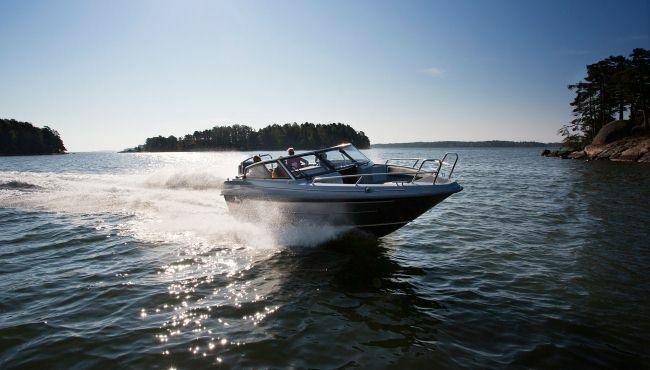 The Finnish Buster yard has been producing tough aluminium leisure boats for 60 years – and as a building material for estuary work, the merits of this strong, resilient, lightweight alloy take some beating (see the Buster L Pro review on boats.com). 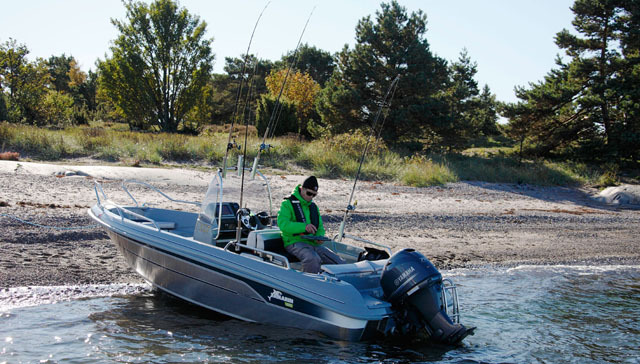 The five-man Buster M is a tough and versatile boat. 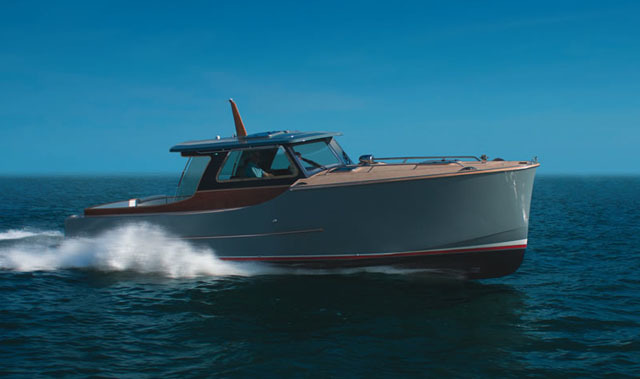 The Nordic heritage means it is designed and built to nose into beaches, with a bow step, useful guardrails and a locker at the transom for a stern anchor. There’s plenty of versatility in the deck arrangement – and in addition to being a very user-friendly boat to drive, the build quality is also well up to scratch. Add the Navi 5 package (with compass, Garmin chartplotter and depth sounder) plus some extra seat boxes, cushions and canvases, and this five-man craft would make a great little estuary servant. However, if you only need to carry four people and you want a smaller model that retains a remote console for helming duties, then don’t disregard the more compact XS model. Designed to make coastal fishing excursions easy, the aluminium-hulled 53 CC from Yamarin’s Cross line provides plenty of space to move around the central console. There’s a two-man helm seat here, with a broader aft bench and a bow seat that doubles as a transition point to the step-through bow. 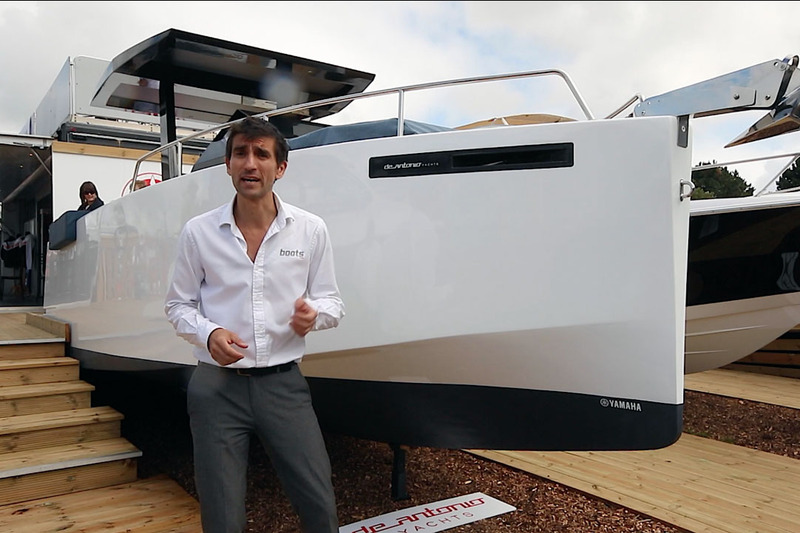 Yamarin Cross 53 CC: The alloy hull, spacious internals and step-through bow are ideal for family exploration. This six-man, 17-footer also allows for the mounting of an electric motor at the bow and the stowage of an anchor in a dedicated box at the stern. 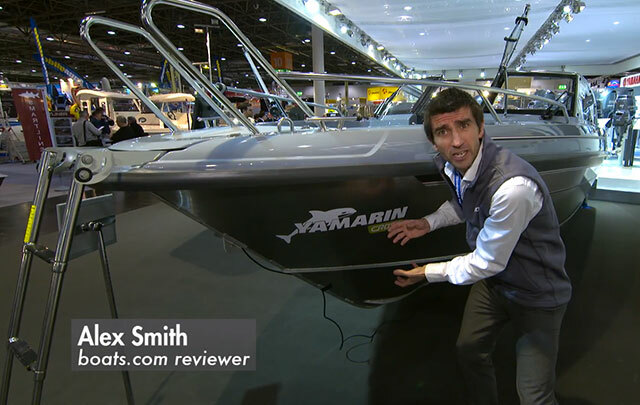 If you opt for the top-end Yamaha F70, plus the table, the cockpit canopy and the waterski bracket, the 53 CC would make a very useful coastal day boat as well as an estuary explorer. But if you want to diversify your leisure even more (not to mention add a little shelter and extend your season), then take a look at Yamarin’s multi-purpose Cross 60 Cabin. It’s the only cabin model in the aluminium-hulled Cross range but for a boat of such modest length, it boasts an awful lot of talents. It’s only fair that we stick with the eminently practical Scandinavians for boat number four. After all, their boating culture (with countless archipelagos and tough, everyday useage) means that the boats they produce are often optimised for estuary-style operation. The polyethylene Pioner Multi III can deposit eight men on just about any beach you like. This time though, we’re in Norway rather than Finland, where Pioner has opted to ignore aluminium in favour of roto-moulded polyethylene. From its leisure line, the 15-foot, six-man Viking will give you decades of safe, reliable entertainment on just 40hp. But if you like the idea of a commercial boat and you can afford the extra outlay, then why not take a look at Pioner’s super-beamy, 17-foot ‘Multi III’? 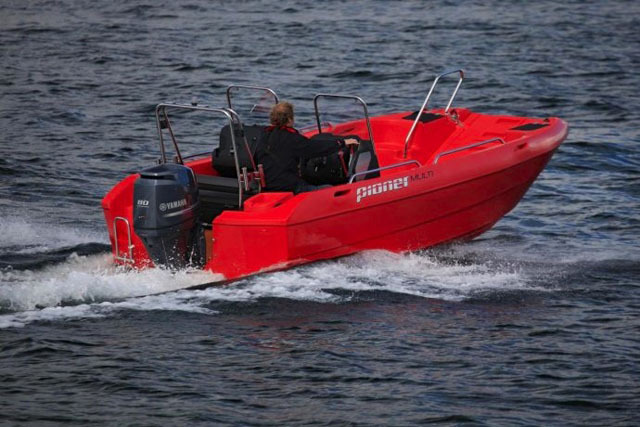 This remarkably stable, cat-style craft comes with a huge load carrying capacity of 1,160 kg, plus the ability to accommodate eight people, allied to a remarkable fold-down bow door that enables the easiest possible beach landings. Okay, so there’s no lounging space or accommodation here, which means you can’t hold floating parties at a buoy or on the end of an anchor – but as a companion for estuary exploration and intertidal picnics, the two-man Quadski is in its element. 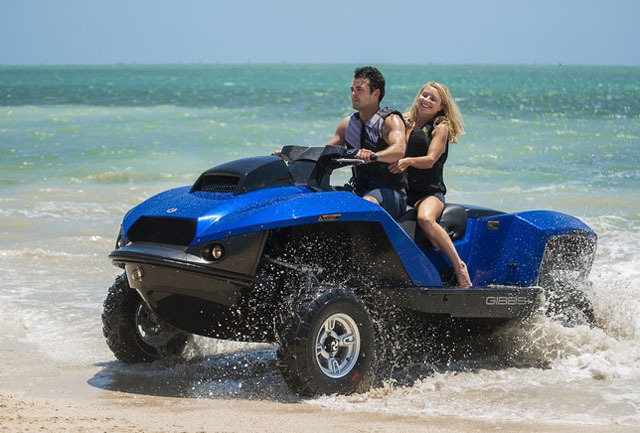 Gibbs Quadski: You don't have to worry about the ebb when your boat has wheels. When you hit the beach, you don’t have to worry about stern anchors, time constraints or dropping tides, because you can just drive back down the beach until you find navigable water. Certainly, it is noisier, more conspicuous and less practical than a regular boat but it’s also fantastically novel, surprisingly cheap to buy and much more user-friendly than a hovercraft. Capable of 45mph on land and a jet-propelled 40 knots on the water, the only real flaw is the fact that it is not currently road legal. That aside, if you and your friends had a mini fleet of these, a hot summer on your local estuary would be an awful lot of fun. 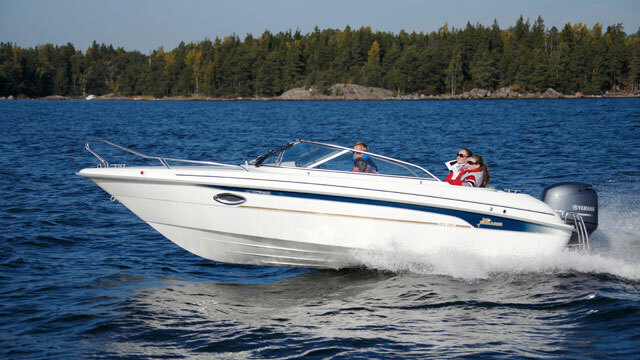 For a round-up of great runabouts, see the runabouts section on boats.com, featuring 5 of the most rewarding runabouts and Family runabouts: buying a boat to suit everyone.